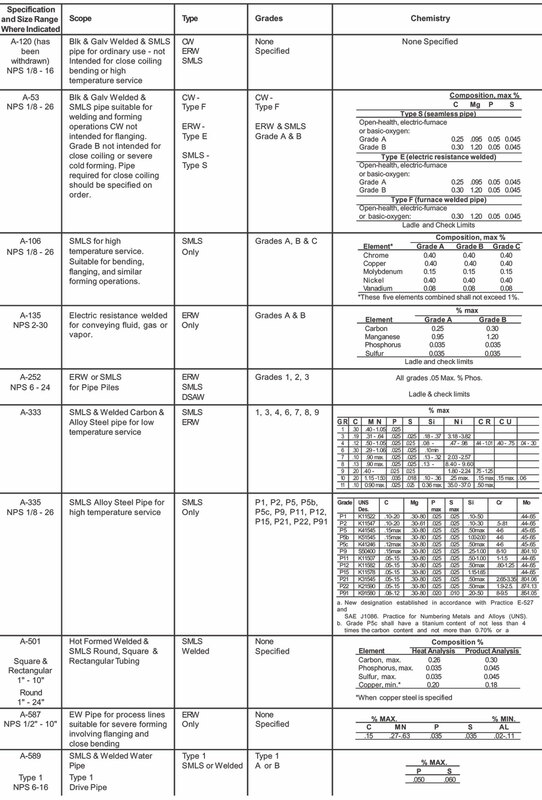 Published pipe standards serve three functions. 1. They dictate manufacturing and testing requirements and prescribed methods of measuring the required mechanical and physical properties. 2. Without specifications, it would be difficult for the pipe buyer to establish a common ground of understanding with the producer as to product requirements. 3. When the pipe producer marks a specification on this product they warrant that the pipe is made from prime quality steel and meets all the requirements of the specification. Standard pipe is manufactured and tested as prescribed by ASTM (formerly American Society for Testing Materials), an international, non-profit technical and Scientific organization formed for "the consensus development of standards on characteristics and performance of materials, products, systems and services." The society operates through more than 127 main technical committees. These committees function under regulations that ensure balanced representation among producers, users and general interest groups. The published standards, therefore, represent the consensus viewpoint of all involved. Line pipe and Oil Country products are manufactured and tested as prescribed by the American Petroleum Institute (API). The API operates similarly to the ASTM except that producers, consumers, and associations with primary interests in oil or gas are involved. Grade refers to divisions within different types of seamless and ERW pipe and designates mechanical properties such as minimum yield and tensile strengths. Grade B has higher tensile and yield strength than Grade A. It is manufactured to higher carbon content steel. Grade A, being a softer steel, is easier to bend and is recommended for use in close coiling and cold bending. Grade B has higher stress values and is better suited for machining operations. Grade C, which is available in ASTM-106, has higher tensile and yield strength than Grades A & B. Many changes have been made to ASTM specifications over the years. One of the more recent has been to make the specifications fit with metric, and more correctly, with the measurements of pipe and the related fittings. To change the pipe outside diameter (OD) and wall thickness, simply multiply the SI dimensions by the appropriate factor to convert to metric. However, an inch is not a real inch. Nowhere on pipe 12" and smaller is there a corresponding measurement because this size has no real numerical value. To solve this problem and still retain the intent of the size designation, the inch mark was removed from the column showing the size, and the term NPS was added as were the following words: The dimensionless designator NPS (nominal pipe size) has been substituted in this standard for such traditional terms as “nominal diameter,” “size,” and “nominal size.” They are now stated as NPS 1, NPS 2, NPS 6, NPS 12, NPS 14, etc. Most pipe specifications are restricted by tolerances for outside diameter, wall thickness, and weight. Pipe must meet all three criteria or material could be rejected. Please refer to the applicable specifications. WWP-404c is similar to ASTM A-53 except that Government inspection and continuous identification marking of electric weld and seamless is mandatory. It covers black and galvanized welded and seamless pipe for flanging, bending, and coiling and for use with fresh water, oil, steam, air, and gas on shore plus a limited number of shipboard uses. Sizes 1/8 inch through 24 inch. WWP-406c is a federal specification comparable to ASTM A-120 (withdrawn 1988). Mills can certify that A-120 pipe in a distributor’s stock meets all the requirements of WWP-406c. B31.1 Code for pressure piping. Prescribes minimum requirements for design, manufacture, test, and installations of power piping systems for steam generating plants, central heating plants, and industrial plants. A.A.R. 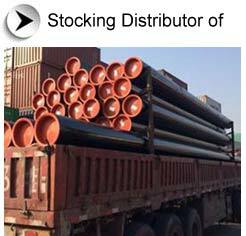 M-111 covers black and galvanized welded and seamless pipe intended for coiling, bending, flanging, and other special purposes; and is suitable for welding. Purpose for which pipe is intended should be stated on orders. M-111 is comparable in most requirements to ASTM A-53.